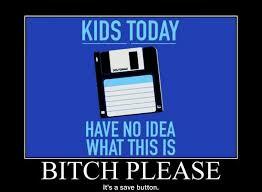 When I was nine years old my parents bought an Iomega Zip Drive which allowed you to save tons (100mb) of data onto one large “floppy” disk. It was an external piece of hardware with an excellent (paraphrased) advertising slogan: “Save 100 disks worth of data in one place”. It was a USB thumb drive before such things had been conceived. Saving so much information in one place was always an issue in early computer days, installing simple games like “Jazz Jackrabbit” took as many as 4-20 disks with the tedious task of switching them out every time a disk ran out of information. Technology has of course improved and we have hard drives now that are in the multi-terabytes. We have so many ways to save files both internally and externally that my Iomega Zip Drive has sat unused in a closet for many years. But a technology that has proven very useful, especially in the digital age of sending files, are what are commonly known as “Compressed Folders” or “Zip Folders”. These types of folders will allow a user to take a multiple files and compress them down to a smaller size which makes them easier to send across e-mail or FTP servers. Zip folders may not make your heart flutter with anticipation but they can be an important part of any developer’s job. At least once in your career you will find a client that wants you to create a zip file and send it in an email through the application you are building. As developers we’ve been able to do this for a while with third parties such as “DotnetZip” but now it is built into the .NET 4.5 framework, making it much easier to work with. Adding two references (System.IO.Compression and System.IO.Compression.FileSystem) will give you access to both a CreateFromDirectory function and an ExtractToDirectory function. These functions (while pretty self-explanatory, thanks to great naming conventions) are extremely simple to use and allow you to quickly pack up all the files from a folder and save them in a new spot. Time to start digging out that old Iomega drive and see if I can find my old copy of “Jazz Jackrabbit” to install and see if it runs on my “new” machine.